On Sunday, the Jazz played the first game of the West semi-finals against the Houston Rockets. With the Rockets’ James Harden’s 41 points, the game was never close and the Jazz are down 0-1. 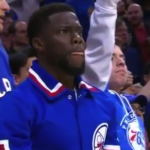 The Boston Celtics beat the Milwaukee Bucks on Saturday night and will now match up against their historic rival, the Philadelphia 76ers in the first game of the Eastern Conference semi-finals on Monday night. A Curry-less Golden State Warriors easily cruised through their first game of the West semi-finals against the New Orleans Pelicans. With Kevin Durant’s 26 points and Draymond Green’s triple-double, the game wasn’t close. 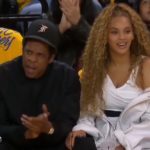 The most exciting part of the game was the courtside appearance of Beyonce and Jay-Z. Coach Steve Kerr said Steph Curry will be back for game 2 on Tuesday night. 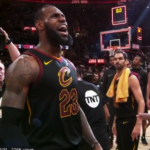 LeBron James came through again with a huge game 7 and series win over the Indiana Pacers. LeBron kept the Cavaliers series alive with 45 points, 9 rebounds and 4 steals, all while suffering leg cramps. For more NBA playoff news, click here. After months of speculation, we can now rest easy knowing the first round picks in the NFL draft. The Cleveland Browns shocked many when they selected Heisman trophy winning quarterback from Oklahoma, Baker Mayfield. The New York Giants grabbed running back Saquon Barkley with pick #2. The New York Jets moved up three spots to take USC quarterback Sam Darnold. The Browns were up with the #4 pick and added Ohio State cornerback Denzel Ward. Rounding out the top 5, the Denver Broncos contributed to their defense by selecting defensive end, Bradley Chubb. For a full analysis of the first round picks, click here. After QB Josh Allen spent the day before the draft apologizing for offensive tweets he made when he was in high school, his high draft prospects looked questionable. The Buffalo Bills, however, traded up with the Tampa Bay Buccaneers to grab Allen with the #7th spot. With 31 points and 14 rebounds from the “Greek Freak” Giannis Antetokounmpo, the Milwaukee Bucks beat the Boston Celtics and forced a game seven. After Antetokounmpo couldn’t get a table at BelAir Cantina earlier this week, the restaurant chain is offering free tacos today at any of their Wisconsin locations. Steph Curry participated in his first full practice after sitting out from an ACL injury. If all goes well in practice, coach Steve Kerr said Curry could be back for game one of the Western Conference semifinals against the New Orleans Pelicans Saturday night. There’s a reason LeBron is called the King! With the Cavs/Pacers game 5 tied a 95-95 Wednesday night, LeBron showed why he’ll go down as one of the greatest players of all time. With three seconds left, he blocked Victor Oladipo’s layup (some say it was goaltending), called time-out then grabbed the ball and shot a 3-pointer at the buzzer to win the game. After the game, LeBron said, “As a kid, you always have those 3, 2, 1 moments. When you’re a kid and being able to have one of those moments, that’s what it kind of felt like. It felt like I was a kid all over again, just playing basketball at my house. With makeshift hoops and my socks as a basketball and making the noise. So, that’s what it felt like.” If you didn’t see the play, watch the highlight here. In another exciting game 5, Russell Westbrook rallied in the 3rd quarter, scoring 20 of his 45 points and eliminating the Utah Jazz’s 25 point lead. It didn’t hurt that likely defensive player of the year the Jazz’s Rudy Gobert (the “Stifle Tower”) was benched for his 4th foul, allowing Westbrook and Paul George to do their thing. 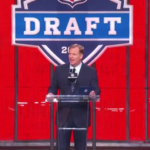 The NFL draft is tonight, and all eyes are on which players get picked in the first round. Particularly of interest, after months of speculation is which player goes #1. The Cleveland Browns have the #1 pick, and former Wisconsin quarterback Josh Allen was considered a front-runner until racially offensive tweets surfaced from his days in high school. Allen has apologized for the tweets (many of which contain the “n” word) saying he was young and dumb. It will be interesting to see if this has any effect on Allen’s draft status. 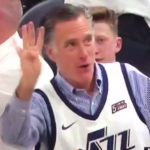 The best part of Monday night’s Utah Jazz 113-96 rout of Oklahoma City Thunder was seeing former Presidential candidate and current Senatorial candidate Mitt Romney taunting Russell Westbrook for his four first half fouls. The Thunder is now down 1-3 in the series. James Harden and Chris Paul combined to help the Houston Rockets score a franchise playoff record 50 points in the 3rd quarter against the Minnesota Timberwolves to propel the Rockets to a 119-100 win. Houston is now up 3-1 in the series. The only other team to score more points in a quarter was in 1962 when the Los Angeles Lakers scored 51 points in a loss to the Detroit Pistons. A news anchor who covers the Golden State Warriors, Mike Shumann, has been suspended for stealing a jacket from the director of Warriors’ security. The incident occured at the AT&T center and was caught on video. Shumann, was a former receiver for the San Francisco 49ers. With the NFL draft later this week, the 49ers may be looking to fill a spot at linebacker if Reuben Foster is found guilty of domestic abuse. Foster has been charged with three felonies from an incident in February where he’s accused of rupturing the eardrum of his girlfriend. 49ers general manager, John Lynch, said, “We want to be abundantly clear that if Reuben did in fact hit this young lady, he will not be part of the team.” The NFL has been under intense scrutiny over the last few years for how they’ve dealt with domestic abuse so stay tuned for what happens in this case. The Golden State Warriors lost a disappointing game 4 (now up 3-1) to the Indiana Pacers, but David West is getting all of the attention for getting off the bench and hopping on an exercise bike. The ref wasn’t amused and gave him a technical foul which comes with a $2000 fine. The Milwaukee Bucks beat the Boston Celtics on Saturday night thanks to 27 points and a thrilling tip-in at the end of the 4th quarter by Giannis Antetokounmpo “the Greek Freak” to give them the 104-102 advantage. 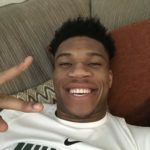 After the game, social media lit up when a fan noticed Antetokounmpo waiting for more than 10 minutes for a table then leaving because no one was helping him. The restaurant, BelAir Cantina, apologized and announced they will give away a free taco (with the purchase of another item) at all their locations if the Bucks win the series Thursday night. 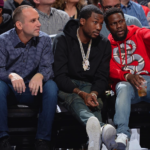 For more weekend NBA highlights, click here. Joel Embiid is back on the court after three weeks on the bench due to a fractured orbital bone. 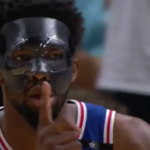 Wearing an intimidating mask for protection, he came back with a vengeance and scored 23 points for a 128-108 win over the Miami Heat, putting the 76ers up 2-1 in the series. Speaking of the now infamous mask, the Sixers spent quite a bit of time and money (and worked with the University of Pennsylvania) ensuring the mask could adequately protect Embiid. The Golden State Warriors are one game away from a sweep of the San Antonio Spurs with their game 3 win on Thursday. It was a tough night for the Spurs as they were mourning the passing of Greg Popovich’s wife Erin, who had suffered from a long-term illness. The New Orleans Pelicans are also one win away from a sweep over the Portland Trailblazers. The Pelicans Nikola Mirotic scored a career playoff high of 30 points. He is the third Pelican to score at least 30 points in the first three games of the series, joining Anthony Davis who scored 35 points in game 1 and Jrue Holiday who scored 33 in game 2. LeBron James scored early and often to lead the Cavaliers to a game 2 win over the Indiana Pacers. LeBron finished with 46 points in a 100-97 victory to even the series 1-1. Utah Jazz rookie Donovan Mitchell is making a statement. In his first two playoff games he’s scored 55 points, the most points by a guard in the beginning two games of the postseason. Michael Jordan previously held the record in 1985 with 53 points in his initial two postseason games. Jazz have now tied the series against the Oklahoma City Thunder 1-1. The Houston Rockets are making the postseason look easy as they cruised to a 102-82 victory over the Minnesota Timberwolves. They lead the series 2-0. 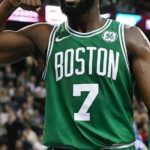 In Tuesday night’s playoff games, the Boston Celtics, New Orleans Pelicans, and Toronto Raptors were all victorious leading 2-0 in the first round. At 21 years old, the Celtics Jaylen Brown provided one of the highlights of the night by becoming the youngest player in Celtic franchise history to score 30 points in a playoff game. Toronto’s DeMar DeRozan also made the highlights with a game-high 37 points, tieing a playoff career high. Rounding out career highs for the night, the Pelicans’ Jru Holiday made a huge contribution with a playoff career high of 33 points. The Los Angeles Angels’ Shohei Ohtani has become the most exciting player in Major League Baseball. At 23 years old, the Japanese phenomenom has been wowing the crowds with his pitching and batting. 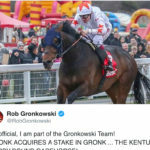 Baseball fans eagerly await his next few games, as he could become the first player to hit three homers and win three games by the end of April. Unfortunately for Angels fans, Ohtani did not accomplish this feat Tuesday against the Red Sox. Ohtani was pulled after only two innings due to blisters on his hand. In game two of the Golden State Warriors/San Antonio Spurs matchup, the Warriors were trailing the Spurs at halftime but came back strong in the 3rd quarter and didn’t look back. Led by Kevin Durant’s 32 points and Klay Thompson’s 31 points (with eight 3’s between them), the Warriors look solid even without star Steph Curry (out for the first round due to MCL injury). Warriors 116, Spurs 101. The New York Yankees’ Aaron Judge became the fastest player in Major League Baseball to reach 60 home runs (197 games). Judge broke Mark McGwire’s previous record of fewest games needed to reach this milestone.